We are going to recreate this piece by English artist Julian Opie, using Illustrator. 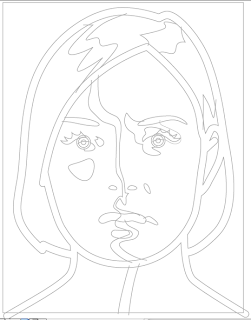 First we'll use the pen tool to create line work by tracing the original image. 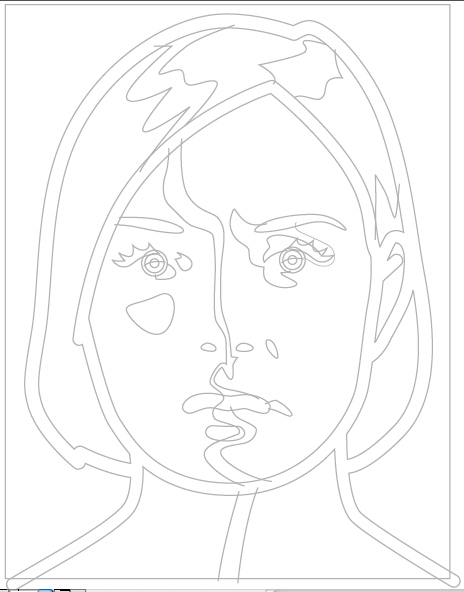 To make things easier I've created a template of the finished trace. So using the pen tool with fill set to none and stroke set to black with a 1 pt thickness, trace the lines of the template. Notice that the lines demarcating different blocks of colour overlap each other. When you have finished tracing, select all the line work and go to Object > Live Paint > Make. Now select the Live Paint Bucket tool. The easiest way to do this by pressing the K on your keyboard. You will notice that your curser is now a paint bucket with a swatch of colour above it. If you move the curser over your artwork you will see that it highlights an individual area of your art work. If you click in that area the bucket will fill it with whichever colour you currently have selected. Object > Live Paint > Expand. This now transforms your artwork back into normal vectors which you can adjust as you usually would. 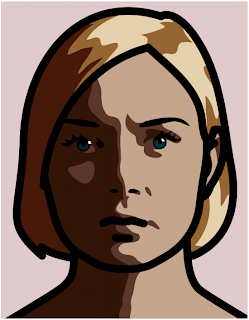 If you place the original Opie image on your page you can use the Eyedropper to colour your artwork very quickly. Just select the part of your artwork you want to colour, grab the Eyedropper and click on the corresponding area of the Opie image.